Numbers don’t lie and Fortnite is absolutely killing it on mobile, the latest figures published by Sensor Tower have revealed. The iOS segment saw a steadfast growth in 2018, leading to $500 million spent by players on the iOS iteration of the game, Sensor Tower Store Intelligence data revealed. Epic Games have had a very lucrative run with their game, helping the industry shape itself and even competing with entertainment giants beyond esports and video gaming, including Netflix. 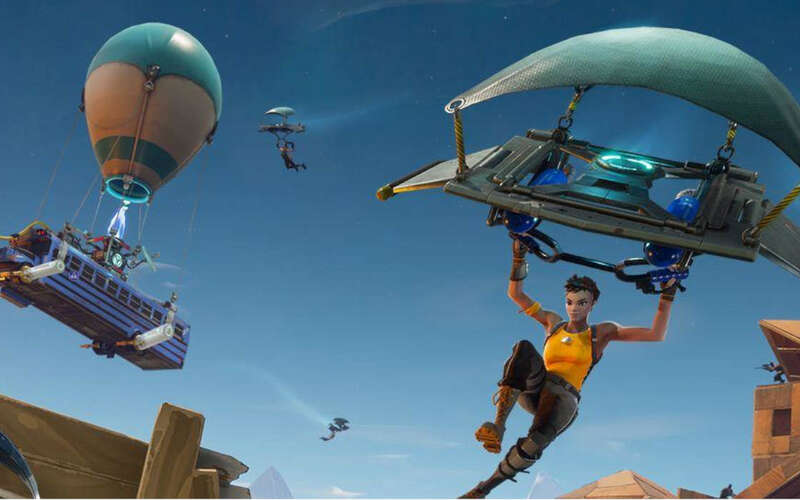 At one point, Fortnite was cited in a report by The Independent and a cyber security company as the conduit of money laundering via Epic Game’s in-game currency. Given the popularity of the Battle Royale title and the propensity of players to spend no great in-game features, this is not at all surprising. Back to Fortnite’s financial feats, the game has amassed solid $500 million in just 326 days after it was released on March 15, 2018. According to Sensor Tower, the game generated $1.53 million per day with the game generating a solid stream of revenue from the United States. The split up between Epic Games and Apple has gone $350m to $150m in favor of the developers, Sensor Tower suggested. Google, on the other hand, reportedly lost $50 million on Epic Games deciding to going it alone rather than sharing a cut with the Google Store. It’s worth noting that this information is based on information Sensor Tower published on August 10, 2018. Mobile is just one of the segments that Epic Games are focusing on. The company announced that it would let more third-party companies participate actively in setting-up tournaments. Fortnite is presently primed to be one of the main titles at IEM Katowice. Fortnite has a new competitor to worry about in the face of Apex Legends, Respawn Entertainment’s Titanfall-inspired game, which is slowly carving itself a place under the sun with 10 million people playing within 72 hours of release. Apex Legends’ enjoying a steadfast popularity and this seems to be a global phenomenon. Southeast Asia’s gamers have been actively streaming on Facebook Gaming, the foremost streaming too in the region. The multiple platforms Apex is running on and the successful cultivation of beloved gaming elements, paired with a very welcoming entry level, have made the game an easy favorite. The new week will most likely bring even more skip-a-beat results. Meanwhile, Fortnite should be on the lookout for a worthy new opponent which might be plotting its mobile advance. Fortnite's managed to reach $500 million in revenue on iOS in 326 days, beating other high-grossing titles, such as Clash Royale and Honor of Kings.